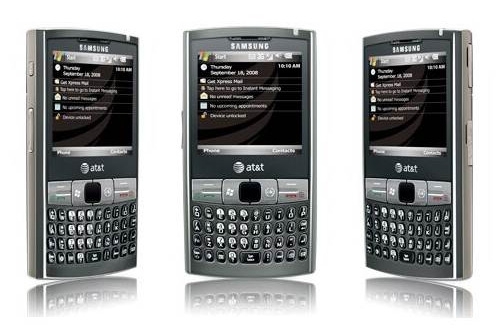 "Samsung has released a software update for the SGH-i907 (EPIX) which is recommended to be installed. This update includes software improvements and additions. The update may take between 10-15 minutes to complete if the system is already set up." If you have been waiting for a while, your patience has just been rewarded as Samsung has announced the availability of a Windows Phone 6.5 update for the EPIX. What will you get with this update? Three of the key new features they are promoting include Windows Marketplace for Mobile, Internet Explorer Mobile 6, and AT&T WiFi. The latter feature provides automatic access to over 20,000 AT&T Wi-Fi Hot Spots nationwide (subject to your smartphone data plan). Convinced you need the update? Then head right over to the Samsung site and start installing without delay. Been waiting for this for quite some time. Wasn't worth the wait IMHO. First of all, be aware the upgrade program(s) work on XP and Vist 32Bit, NOT Win 7 and not 64Bit. I can verify it doesn't work on Win 7, and the driver won't load on 64B Vista. The instructions for Vista seem accurate, but the instructions for XP seem to have been cut and pasted from an earlier patch. I luckily had an old XP machine around, because my only remaining Vista box is 64Bit. Using 6.5s new interface with Samsungs touch pad control is frustrating, and the screen doesn't have nearly the responsiveness of my AT&T Pure. So navigating is a bit cumbersome. Haven't really used the Epix much since I got the Pure, so I don't have recent experience to rely on, but it seems slower than I recall. I remeber actually being pretty satisfied with the device when it was my primary phone. Not real happy with it at the moment just playing with it a bit over WiFi. Haven't moved a SIM into it. Probably won't, for actual use. Personally, if the Epix is your primary device and you are happy with it, I would leave it alone. If it is a backup device, like mine, it is interesting to play with. Note I found no feature in the upgrade process to backup the currnet ROM for restoral, so once done, it is done. Doesn't look like any way to go back. BTW, nothing so far has been able to find the internal GPS, Google Maps, Next2Me. Haven't tried Bing yet, but can't get to the Marketplace at the moment to download it. Worked fine this afternoon. Not exactly a brilliant experience. Better get much better if this is going to be the only option with WinPhone 7.